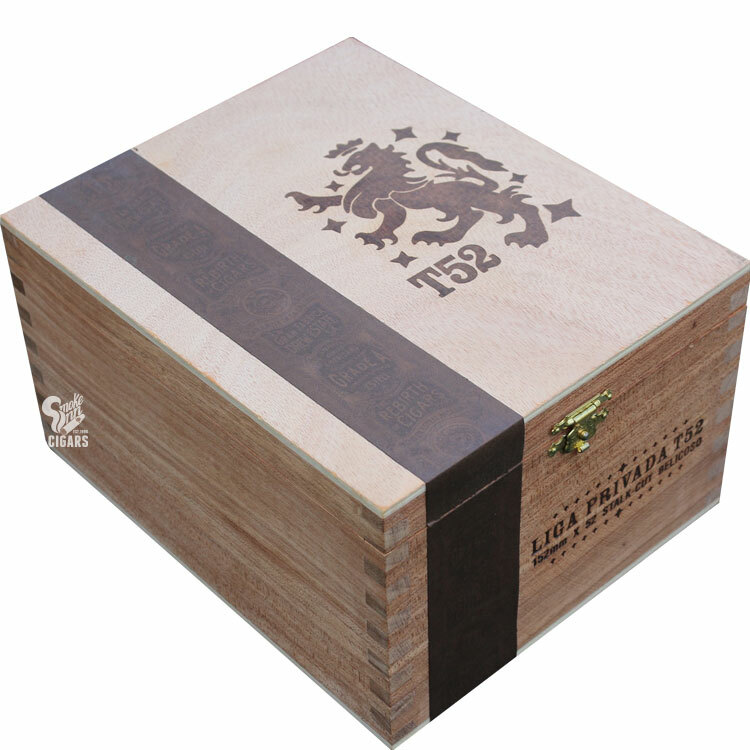 The tobacco used for the Liga Privada T52 employs a unique stalk-cut cured Habano wrapper. While most tobacco is typically primed and tied in groups of 50 and then hung in curing barns, the Liga T52's Habano wrappers were cured on an entire stalk cut from it's base. This untraditional process allows the tobaccos to continue to feed on the nutrients from the stalk while curing, thus providing a fuller and heartier flavor which you will find truly unique. A very limited production item rolled only by the top tabaqueros.